When is a poetry appreciation group not a poetry appreciation group? When it’s attended by the amazing range of folk who choose to join us for Poetry with Friends in Whitley Bay! Poetry with Friends started life after a conversation with artist Gail Curry who runs Happy Planet Creative Arts CIC. 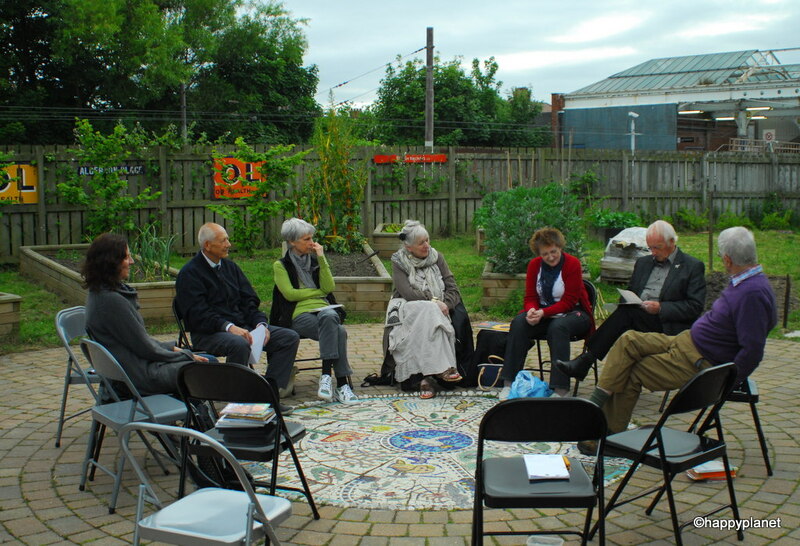 We started one group as an experiment to see if other folk like poetry like wot we do. We ended up running two groups: one on a Thursday morning and the other on a Tuesday night. In November 2017 we reverted back to Tuesday nights only. The group now meets in each other’s homes. More “life appreciation” than “poetry appreciation” it’s what we talk about in between the poems that makes these sessions magical but let’s not forget the poets. In the past few months we’ve shared and enjoyed work by writers including John Clare, Charles Simic, W.H. Auden, Mary Oliver, Thomas Hardy, Charles Causley, Maura Dooley, Ian McMillan, G.M. Hopkins, e.e. cummings, Miroslav Holub, Christina Rossetti, T.S. Eliot, John Masefield, Philip Larkin, Clive James, Martin Figuera, Emily Dickinson plus poems by over 50% of the participants.